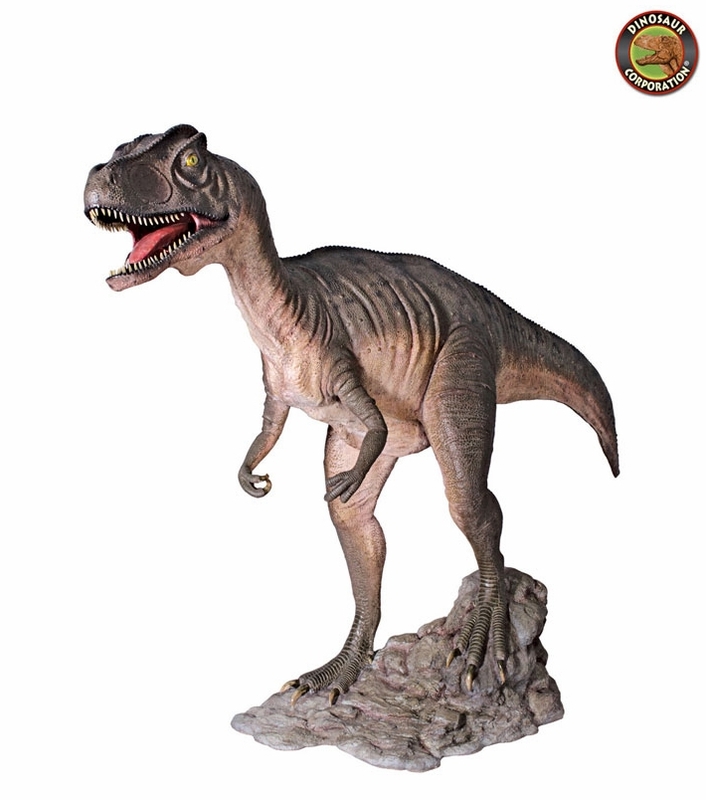 Home | STATUES | Giant Allosaurus Scaled Dinosaur Statue Prehistoric Garden Sculpture 125"
Giant Allosaurus Scaled Dinosaur Statue Prehistoric Garden Sculpture 125"
This Jurassic-sized predator was one of the first dinosaur movie stars, starring in the 1925 all-dinosaur film, Lost World. Realistically sculpted with an elongated tail and the powerful open mouth of a carnivore, our prehistoric replica dinosaur statue is cast in quality designer resin, reinforced for supreme strength with fiberglass and hand-painted with powerfully convincing color and texture to be as faithful as possible to the form of its ancient species. This display-quality giant dinosaur statue transforms any home, garden, restaurant or hotel into something truly magnificent!